for the kids to play on while the parents are on the deck taking in the views. Please take care of small children around staircase and deck area. If you bring your dog please clean up the yard after them. Thanks! 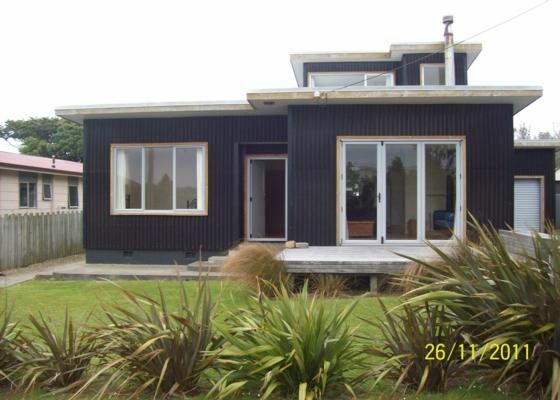 Lovely sea views over Taramea Bay from deck, living room andamp; top bedroom. The Tui’s singing and a great little house was perfect for our family of four with room for more ! Nice wooden floors and in a quiet area within walking distance to beach and fish & chippy ! The owner was brilliant when I left keys at the cafe , so helpful and caring ! Amazing homely set up and Sally was lovely to deal with! Lovely place to stay on the south coast. Exactly the right fit for location. We loved it. Great hosts. Great location, a nice, carefree bach with everything you need at your fingertips. Relaxing holiday. Thank you!